When you lead with love, peace will follow. Speak for love. 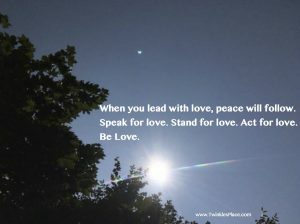 Stand for love. Act for love.